In Dublin for a meeting? Look no further for some of the best venues available to hire in the city. When you’re planning a meeting you want to know that your Space has every detail covered. From state-of-the-art technology and comfortable surroundings to a dedicated events team and food and drink offerings, meeting rooms must be adaptable as well as inspiring. To ensure you spend as much time focusing on the intimate details that will make your event perfect, we’ve uncovered the best small meeting rooms in Dublin for your next event hire. Luxurious, highly adaptable and inspiring. There’s not much not to like about the facilities at Dublin’s Croke Park. 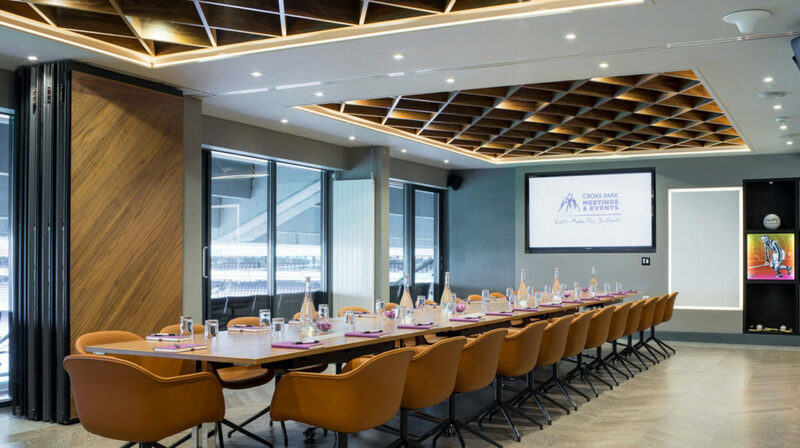 On Level 6 of this famous stadium, you will find over 90 meeting rooms available to hire but the All Star Suites really stand out. Each of the All-Star Suites shares its name with a famous name from the world of GAA and each is adorned with bespoke Irish decor for a unique and homely feel. 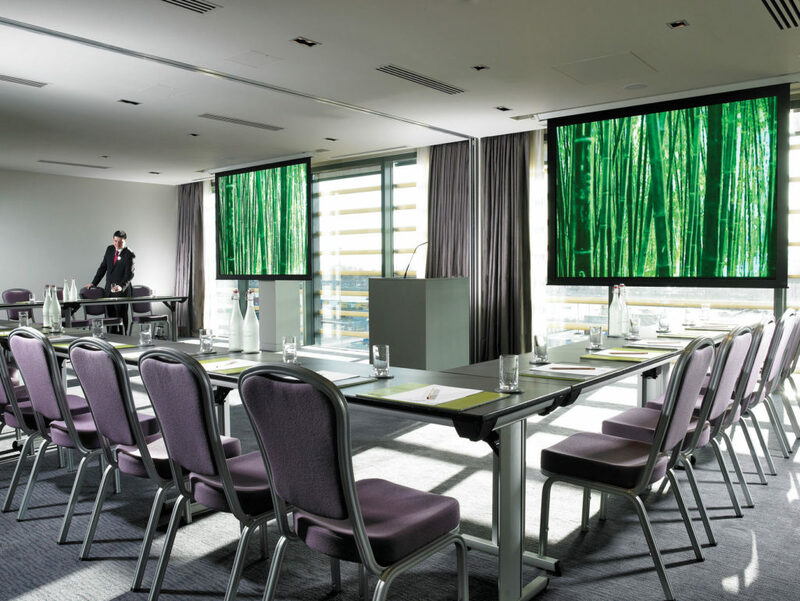 When it comes to technology, these suites are some of the best small meeting rooms Dublin can offer. All rooms are equipped with discrete wireless technology including HD screens and customisable LED lighting. If that wasn’t already enough, all the suites come with private catering and include access to a private balcony that overlooks the hallowed Croke Park turf. 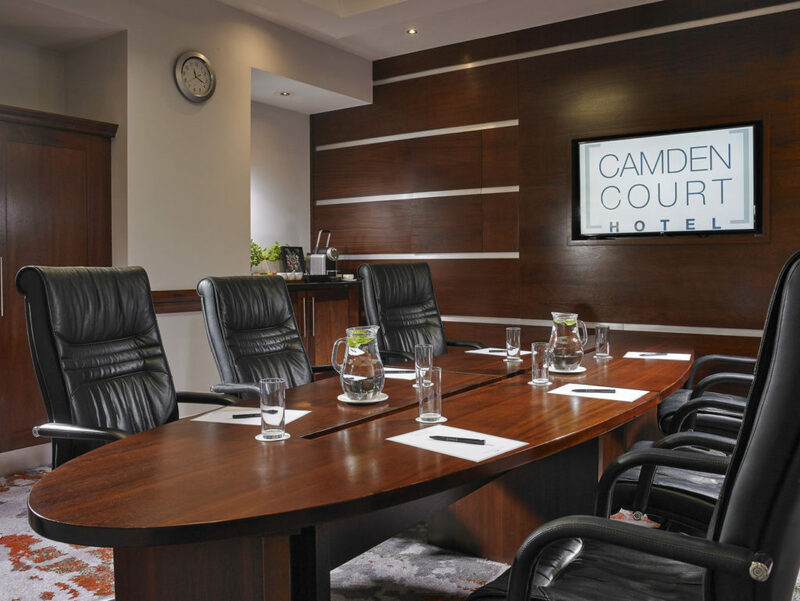 Flexibility is the order of the day at the Camden Court Hotel, with each of the 12 state-of-the-art meeting rooms able to meet your events specific needs. The Gallery Boardroom is a sleek and stylish setting for a small meeting for up to 12 Guests. The Space is flooded with natural daylight and equipped with free WiFi and TV screens. There’s even a dedicated ‘Meeting Excellence’ team who are on hand to adapt the Space to meet your needs you may have and to ensure your event runs smoothly from start to finish. To cap it all off the Camden Court Hotel is ideally located in central Dublin with plenty of other amenities for your Guests to enjoy including a gym, 16-metre swimming pool, sauna and steam room. 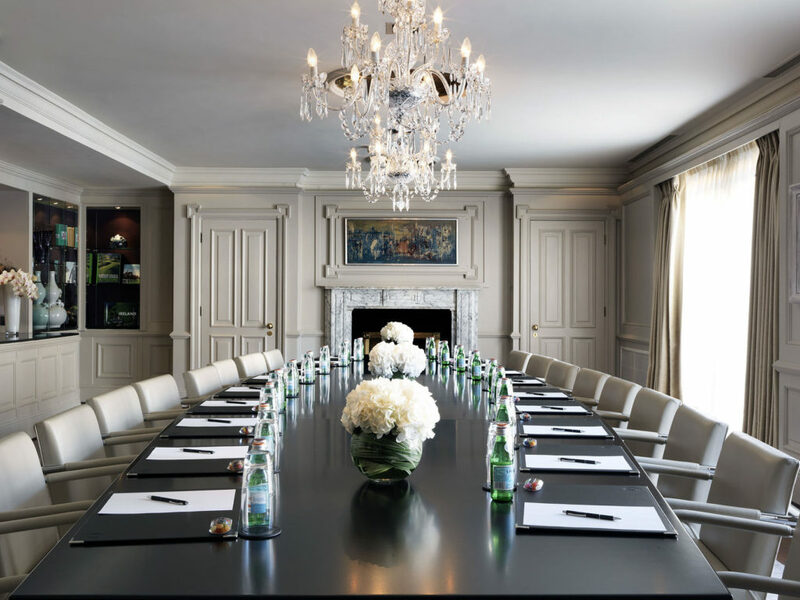 For a Dublin meeting room that combines grandeur, decadence and reliability, Trinity at The Westbury is a solid choice. 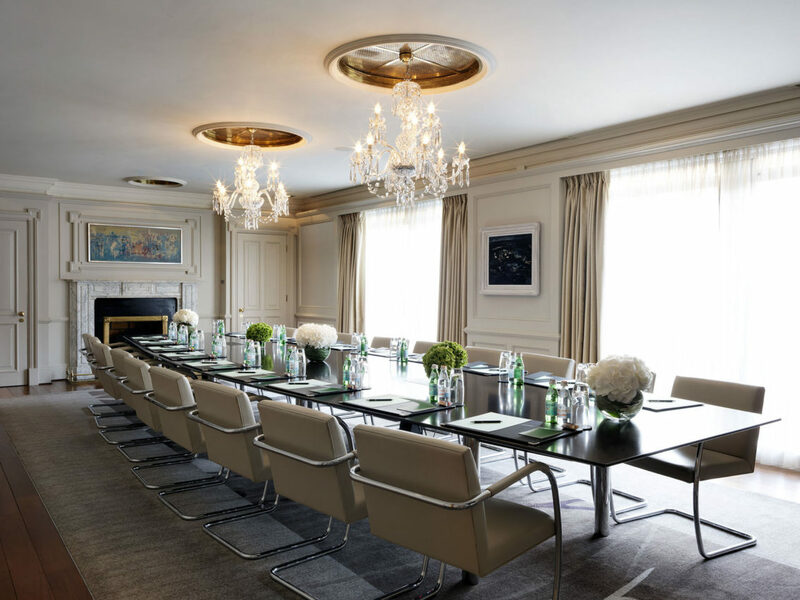 Suitable for up to 20 delegates, this spacious meeting room is adorned with original artworks, chandeliers, a marble fireplace and plenty of natural light to produce a comfortable environment. But grandeur doesn’t mean this suite isn’t equipped with all the technology you’d need to run a productive meeting. The Space comes with free WiFi and conferencing equipment. If you wish to transition from business to pleasure the Space can also be turned into a glamorous private dining room which looks especially magical when candle-lit. If you are looking for a setting that is guaranteed to impress your Guests, the International Corporate Centre has the right Space for you. The Small Board Room will definitely make a great first impression. The Space is decked in grand furnishings and original Georgian features which include an ornate fireplace and beautiful chandeliers. You will also find top-end technology, including high-speed WiFi and TV screens, plus, catering options are available with a team on hand to ensure all your specific needs are met. So for a small meeting room that can do it all, plan a trip to the International Corporate Centre. Reliability is the order of the day at the Grand Canal Hotel. The venue may not match some of its Dublin counterparts in terms of grandeur and character, but it more than makes up for that with its efficiency and attention to detail. Yeats is one of the Grand Canal’s five meeting rooms and is perfectly suited for a range of small corporate events, from team meetings and workshops to seminars and presentations. The room is equipped with the latest audio-visual equipment as well as reliable, high-speed WiFi. 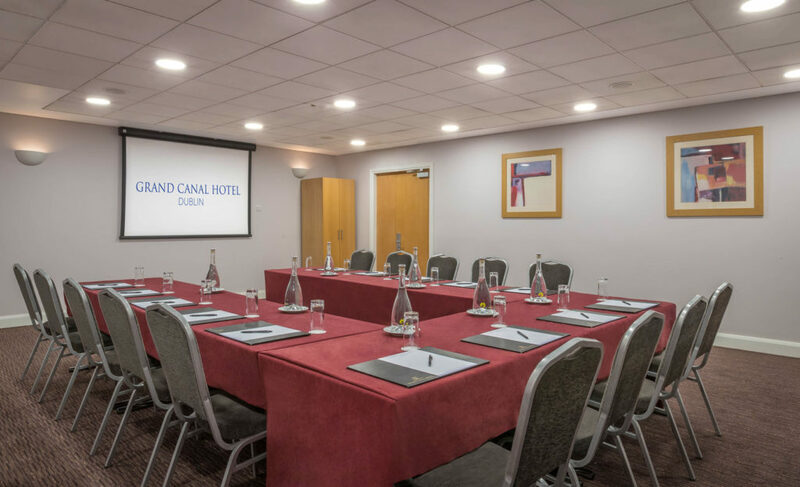 In addition, the Grand Canal Hotel has an on-site Business Centre with access to PCs, printing and photocopying facilities to ensure your event runs without a hitch. The Gibson is home to a collection of Spaces which are some of the finest small meeting rooms Dublin has to offer. Convenient, central and modern is how the venue describes its meeting facilities. The staff are on hand to make sure your business is their business as they do all they can to make sure your day runs effectively, leaving you to focus your time and energy on your Guests. To make sure energy levels don’t drop, an offering of top quality food and drinks is available, plus if a business event turns into an evening celebration, The Cordoba Suite can be transformed into a private function room in the blink of an eye. Us&Co Dublin is a five-star business centre in the heart of the city’s prime business district, St Stephen’s Green. Here you can choose from bright, open-plan meeting Spaces or private rooms, all of which combine a relaxed vibe with unique interiors. 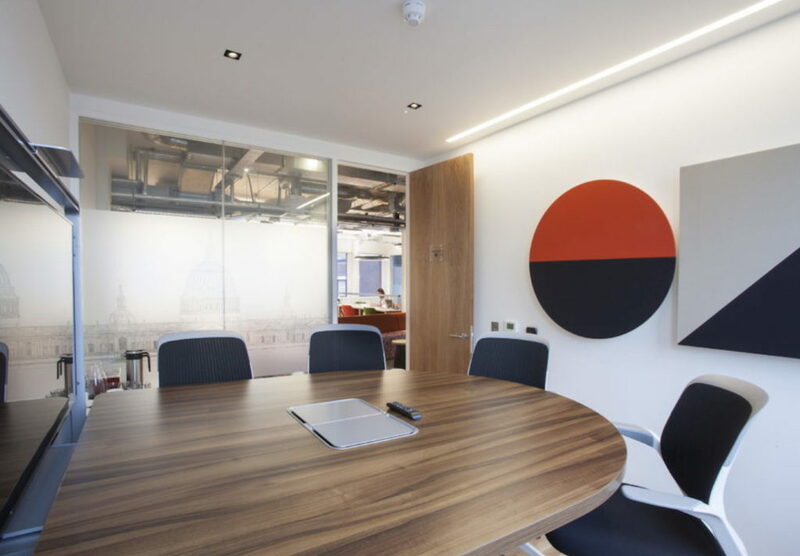 Alongside Us&Co’s private boardrooms and meeting rooms you will find Mediascape. This small meeting room is ideal for dynamic meetings where up to six users can connect simultaneously and take possession of the screen with the click of a button. To make for the perfect meeting experience, Us&Co is open 24/7 and features a Club Space which is ideal for networking events. As you’d expect, all the latest technology is on hand including reliable WiFi, TV screens and top of the range A/V equipment. 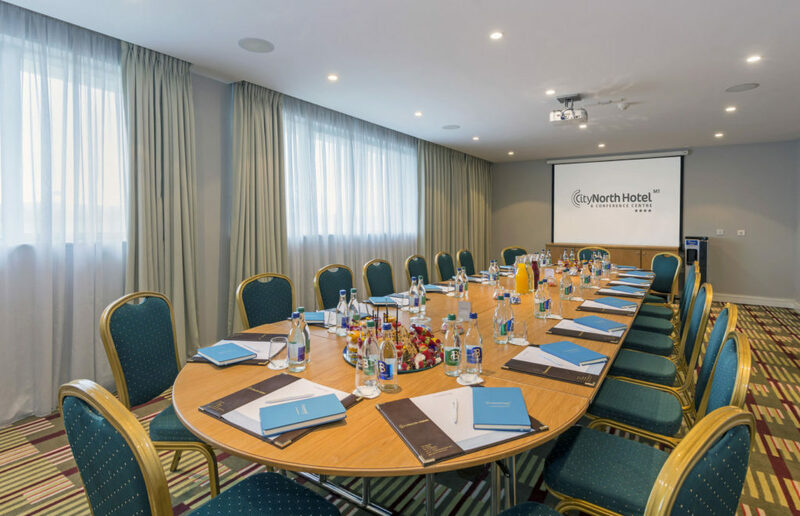 The CityNorth Hotel and Conference Centre prides itself on its first-class hospitality, making this a leading location for meeting room hire just outside of the Irish capital in Co. Meath. Dunsany meeting room is private, with full soundproofing and blackout curtains and fully integrated A/V technology on hand to provide a seamless meeting. On request, you can also make use of the facility’s 42” plasma screens, DVD players and video recorders for a presentation. As is the Centre’s way, a dedicated events team is always on hand to cater for your every need. Whether it’s assistance with the meeting room’s facilities or additional food and drink for your Guests, this venue will not let you down. So, if you are in need of the best small meeting rooms in Dublin can provide then look no further. Search, book and pay with HeadBox for the perfect spot to host your next event. 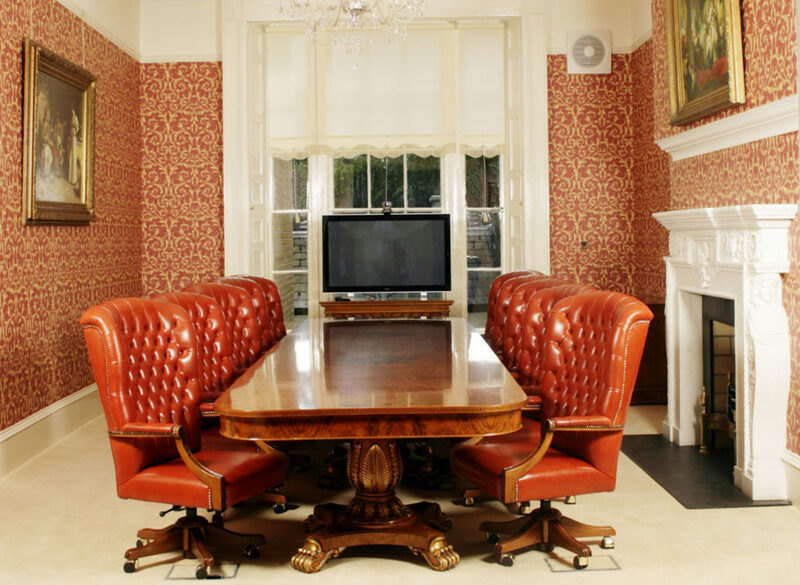 If you didn’t find what you were looking for, check out our other Dublin meeting rooms. 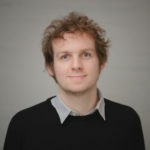 Tom joined HeadBox at the start of 2019. His favourite venue is The Compound in Birmingham’s Jewellery Quarter. He’s a huge fan of the maze of bridges and balconies that link the wide range of versatile Spaces. View Tom on Linked In.